Hori, who are pretty well known for making arcade sticks, have annouced the Tactical Assault Commander 4 which is a PS4 keyboard and mouse. The TAC4 is a wired solution, which is intended to replicate the PC style gaming experience on both PS4 and PS3. So obviously that means WASD movement and precision aiming. There are a few extra keys as well, with “snipe”, “quick” and “walk” buttons. 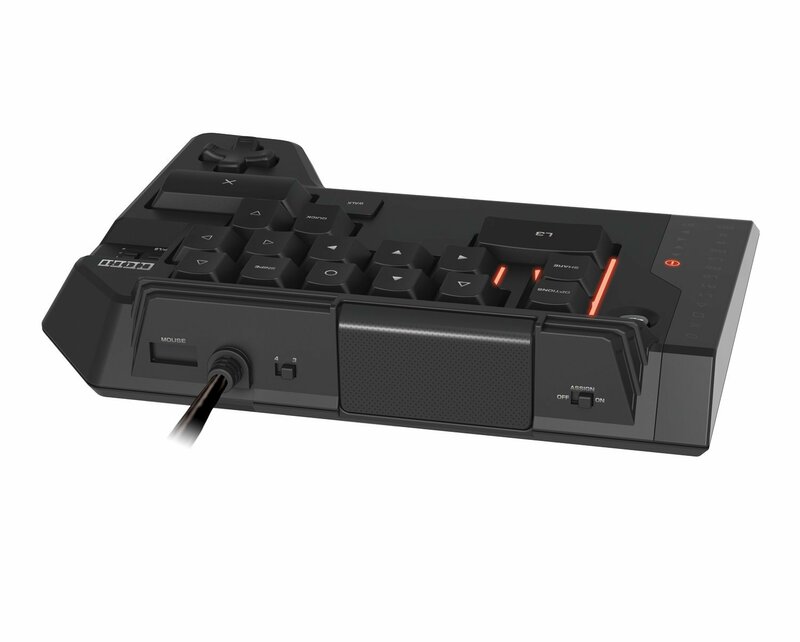 They have a slightly interesting setup, with the dualshock 4 D-pad in a WASD position, and triangle and circle taking the place of the traditional lean buttons, Q and E.
For those of you wondering, Hori do have an official greenlight from Sony for making this and will be releasing on the PS3 and PS4. Cost wise, it will run you just under £87, according to Amazon. An interesting question does remain though, will this give you an advantage over people using a controller? If it were a traditional keyboard and mouse, that would be a no brainer, as using a mouse over an analog stick does grant you greater precision. But, whether or not the TAC4 will also see such a great advantage remains to be seen. My bets are on yes, but it won’t give as great an advantage as traditional keyboard and mouse. However, it wouldn’t surprise me to see this banned from tournaments. Tagged with hori, k&m, keyboard, keyboard and mouse, mouse, playstation 4, PS4, sony, support.